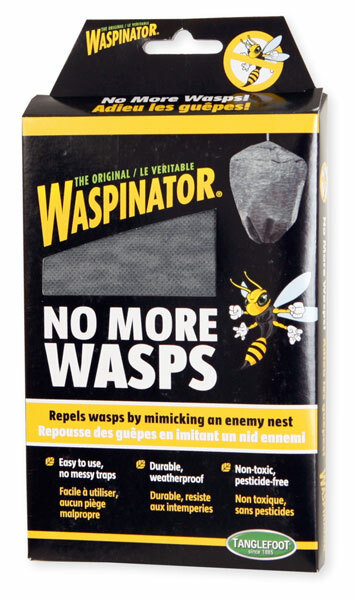 How weatherproof is the waspinator? Can I leave outside all season? The Waspinator is made of a cloth material. It is not designed to last more than a few months. Probably 1 season at best. Rain will not effect it. If it gets wet, it will dry. I keep one in my back yard and replace it every few months or when it needs it. My wife insists on it. She doesn't like wasps or sprays either!